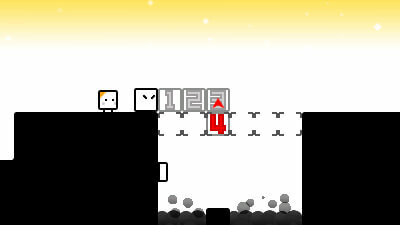 Square off against the odds in BYE-BYE BOXBOY!, a charming 2D puzzle-platformer available exclusively from Nintendo eShop on Nintendo 3DS family systems. Join Qbby, a conundrum-solving cube, on an all-new adventure where you’ll need to box clever and ingeniously navigate your way through more than 180 brainteasing levels. 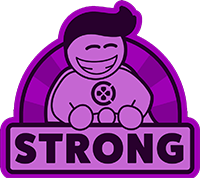 Pit your wits against oodles of obstacle-filled levels, including new stages where you’ll need to think outside the box and ensure a safe passage for both Qbby and the adorable Qbabies. Create boxes out of thin air to build bridges, hit switches and reach riches! Whether you’re tracking down crowns, conjuring up laser-beam-blocking barriers or summoning a spike-shielding stairway, there’s always something to keep this clever cube on his toes. A rousing send-off for one of Nintendo’s strangest mascots, and a satisfying conclusion to one of the best puzzle franchises of the last few years. Bye-Bye BoxBoy! is being billed as the last of the BoxBoy! trilogy and if this is where things truly end I think that's for the better. 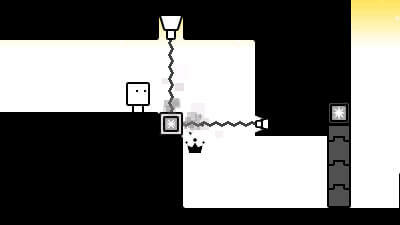 Qbby is great and this monochrome world is wonderful, but I feel as though its basic puzzle formula is on the cusp of getting stale. If we do see more of this boxed boy, I hope his next adventure is something more substantial. 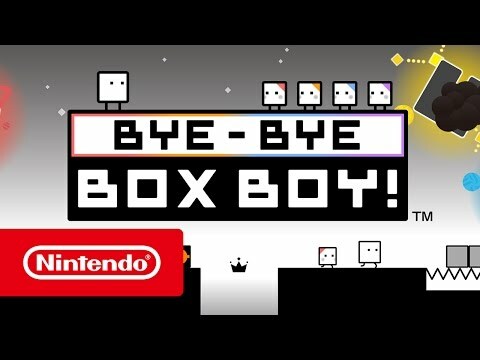 A great conclusion to this underappreciated puzzle series, Bye-Bye BoxBoy! is a must buy for anyone who enjoyed the previous games. It also serves as a nice jumping on point, giving players tons of new, fun puzzles to work through with some cool new mechanics.